Using soft disposable contact lenses for myopia control is a hot topic, as both scientific and clinical support mounts in their favour. There are lower practitioner and patient barriers to fitting soft lenses compared to orthokeratology (OK), which currently accounts for 28% of worldwide contact lens fits to children1 and has demonstrated a 45-50% reduction in axial elongation on meta-analysis of seven studies lasting 2 to 5 years.2, 3 A recent meta-analysis of eight soft lens studies – concentric ring bifocal and peripheral add multifocal designs – showed a 30-50% efficacy for slowing axial elongation over 2 years.4 Anticipation builds across the profession as the US Food and Drug Administration has recognised the importance of developing approved myopia control products with their workshop in September 2016. More products are becoming commercially available for off-label use. Are soft lenses used for myopia control comparable to OK? In the ongoing pursuit of evidence-based practice, here are the clinical conundrums and research answers as I see them. The first question is which soft lens to use. The only widely accessible lens that has been researched for myopia control is the Coopervision Proclear Centre Distance (“D”) Multifocal, fit using a +2.00 D Add and demonstrating a 29% axial elongation reduction over 2 years.5 New data on the clinical trial being conducted by Coopervision on its Misight daily disposable dual focus myopia control lens is showing promising results, but has yet to be peer reviewed. Other soft lens myopia control studies utilise peripheral adds and concentric rings of varying designs that are not commercially available. These products that are specifically designed for myopia control, such as the Misight, are likely to simplify fitting by providing a single lens design; however, it is unlikely that one solution will fit all patients, and we may always require a few tools in our myopia control armament. So until our armament expands, if you’re intending to employ a centre distance multifocal lens (MFCL) for myopia control, the next pertinent question is which add to use. 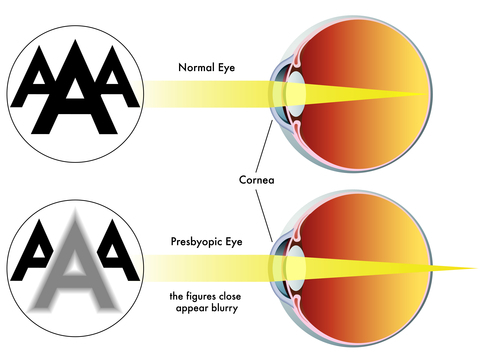 The ‘add’ influences two optical outcomes in the myopic eye – the peripheral optical change and on-axis depth of focus. A key theory in myopia development, progression and control is that of altering the relative peripheral hyperopia (RPH) found in the myopic eye to relative peripheral myopia, similar to that found in emmetropic and hyperopic eyes. OK has been shown to alter RPH in a predictable, near 1-to-1 relationship to central refractive change,6 meaning that your -2.00 D OK patient is effectively wearing a +2.00 D ‘add’ if analogous to a MFCL; a +3.00 D ‘add’ for a -3.00 D treatment and so on. However a +2.00 D add MFCL does not produce a full +2.00 D shift in RPH comparable to OK7 – the result is variable depending on the inherent optics of the individual, and it appears to be lower for MFCLs than for OK. This would indicate that increasing the add as much as tolerated would help to ensure enough change in RPH; however, MFCL adds of +3.00 D and +4.00 D are not well tolerated in large-pupiled children.8 Common sense indicates starting with the highest add that can be tolerated; a recent blog by notable myopia control researcher Dr. Jeff Walline recommends a +2.50 D add, adjusting the distance refraction if required to achieve 20/25 acuity or better. Secondly the MFCL ‘add’ influences on-axis depth of focus via changes to spherical aberration (SA), which is its mechanism of action to support failing accommodation in presbyopia. A baseline level of SA is inherently normal to the visual system – single vision, multifocal and OK lenses all alter SA.9,10 This change in SA has been shown to reduce accommodative demand for both MFCL- and OK-wearing non-presbyopes,11,12 while OK wear improves accommodative lag13 and amplitude of accommodation.14 The type of lens used, and the ‘add’ power, may need to be tailored to individual myopes depending on their binocular vision status – when bifocal soft lens adds were chosen to neutralise near esophoria, which frequently coexists with accommodative lag in young myopes, an impressive 70% control effect was achieved over one year.15 A growing emphasis on accommodative behaviour in the myope is on the horizon in an effort to understand how the young visual system uses MFCLs designed historically for presbyopic eyes and how this may differ in myopia control-specific designs. 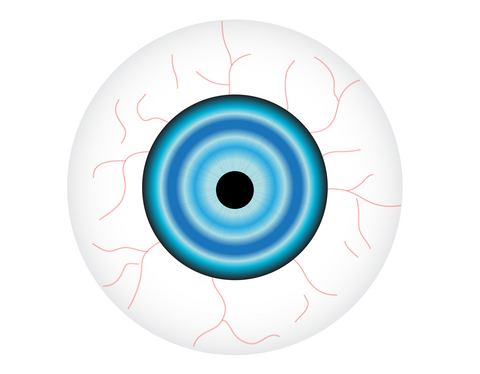 The perfect myopia control lens will incorporate modifications to relative peripheral optics, spherical aberration and resultant near demand, specific to the vergence and accommodation status of the individual myope. It may also include controlled release of low dose atropine and real-time biometric feedback on visual environment.16 This lens doesn’t exist yet, but we have lenses available now that go at least halfway to the perfect lens, both in efficacy and mechanisms. It’s likely that the future widespread adoption of myopia control will sit firmly in the soft contact lens domain. For our young patients not yet suitable for contact lens wear, appropriate myopia management will still involve discussing these future contact lens correction options, while spectacles, visual environment changes and atropine are prescribed in the interim. Now for the hard facts of myopia control – while there is no perfect myopia control solution, there are products and protocols available now for use in clinical practice. Most practitioners have understanding of the products but are unsure of protocols to support decision making and management; help is only a few clicks away. I’d encourage you to look closely at ‘Defining a Strategy for Myopia Control’ by Dr Langis Michaud and colleagues from the University of Montreal, which provides flow charts for lifestyle advice, selecting suitable candidates for OK and MFCL and management pathways for both. Developed to support the lengthy clinical discussions required of myopia management, my paper communication tool Myopia Profile can be downloaded, printed and used in-room. It is currently being translated into Chinese, German, Japanese and Korean, with more languages to come. 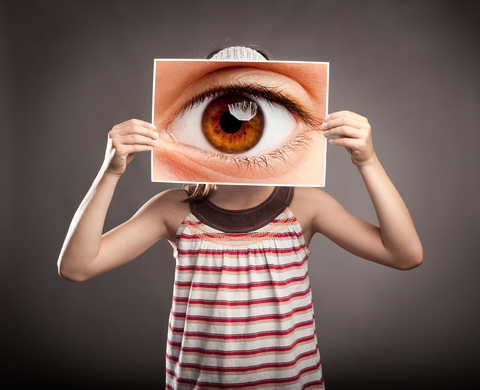 This website also includes a blog authored by myopia thought leaders and a growing ‘how to’ section to support clinical practitioners based on evidence and experience. For a comprehensive collation of publication abstracts on myopia and helpful links for patients, check out www.myopiacontrol.org authored by colleagues at the Michigan College of Optometry. Myopia control truly is a global advance towards best practice management of our young patients. The final hard fact is that if we don’t take action now, we miss the opportunity to modify lifelong risk of cataract, retinal detachment (RD) and myopic maculopathy (MM) in the progressing myope. The successful limitation of myopia to less than -3.00 D means at least a 3-times reduced risk of RD and a 4-times reduced risk of MM compared to those up to -5.00 D; beyond this, the risk of RD is over 20 times and MM over 40 times greater than that of the emmetrope.17 The future risks of myopia pathology are real and oftentimes much larger than the immediately visible risks of complications in paediatric contact lens wear.18 The tide of myopes is swelling; the future tsunami of eye disease threatens;19 the time is now to dive into clinical myopia control. 1. Efron N, Morgan PB, Woods CA. International survey of rigid contact lens fitting. Optom Vis Sci. 2013;90(2):113-8. 2. Sun Y, Xu F, Zhang T, Liu M, Wang D, Chen Y, Liu Q. Orthokeratology to control myopia progression: a meta-analysis. PLoS One. 2015;10:e0124535. 3. Si JK, Tang K, Bi HS, Guo DD, Guo JG, Wang XR. Orthokeratology for myopia control: a meta-analysis. Optom Vis Sci. 2015;92:252-7. 4. Li SM, Kang MT, Wu SS, Meng B, Sun YY, Wei SF, Liu L, Peng X, Chen Z, Zhang F, Wang N. Studies using concentric ring bifocal and peripheral add multifocal contact lenses to slow myopia progression in school-aged children: a meta-analysis. Ophthalmic Physiol Opt. 2017;37(1):51-9. 5. Walline JJ, Greiner KL, McVey ME, Jones-Jordan LA. Multifocal contact lens myopia control. Optom Vis Sci. 2013;90:1207-14. 6. Queirós A, González-Méijome JM, Jorge J, Villa-Collar C, Gutiérrez AR. Peripheral refraction in myopic patients after orthokeratology. Optom Vis Sci. 2010;87:323-9. 7. Ticak A, Walline JJ. Peripheral Optics with Bifocal Soft and Corneal Reshaping Contact Lenses. Optom Vis Sci. 2013;90:3-8. 8. Bickle K, Walline J. Bifocal lenses in nearsighted kids (BLINK) study. Optom Vis Sci. 2013;90:E-abstract 130789. 9. Gifford P, Cannon T, Lee C, Lee D, Lee HF, Swarbrick HA. Ocular aberrations and visual function with multifocal versus single vision soft contact lenses. Cont Lens Anterior Eye. 2013;36(2):66-73. 10. Gifford P, Li M, Lu H, Miu J, Panjaya M, Swarbrick HA. Corneal versus ocular aberrations after overnight orthokeratology. Optom Vis Sci. 2013;90:439-47. 11. Tarrant J, Liu Y, Wildsoet CF. Orthokeratology Can Decrease the Accommodative Lag in Myopes. Invest Ophthalmol Vis Sci. 2009;50:4294. 12. Tarrant J, Severson H, Wildsoet CF. Accommodation in emmetropic and myopic young adults wearing bifocal soft contact lenses. Ophthalmic Physiol Opt. 2008;28:62-72. 13. Gifford KL GP, Hendicott PL, Schmid KL. Near binocular visual function in young adult orthokeratology versus soft contact lens wearers. Cont Lens Anterior Eye. 2017;40:In Press Corrected Proof. 14. Zhu M, Feng H, Zhu J, Qu X. The impact of amplitude of accommodation on controlling the development of myopia in orthokeratology. Chinese J Ophthalmol. 2014;50:14-9. 15. Aller TA, Liu M, Wildsoet CF. Myopia Control with Bifocal Contact Lenses: A Randomized Clinical Trial. Optom Vis Sci. 2016;93:344-52. 16. Gifford P, Gifford KL. The Future of Myopia Control Contact Lenses. Optom Vis Sci. 2016;93:336-43. 17. Flitcroft DI. The complex interactions of retinal, optical and environmental factors in myopia aetiology. Prog Retin Eye Res. 2012;31:622-60. 18. Johnson KL. Are we myopic about myopia control? Cont Lens Anterior Eye. 2014;37:237-9. 19. Holden BA, Jong M, Davis S, Wilson D, Fricke T, Resnikoff S. Nearly 1 billion myopes at risk of myopia-related sight-threatening conditions by 2050 - time to act now. Clin Exp Optom. 2015;98:491-3. 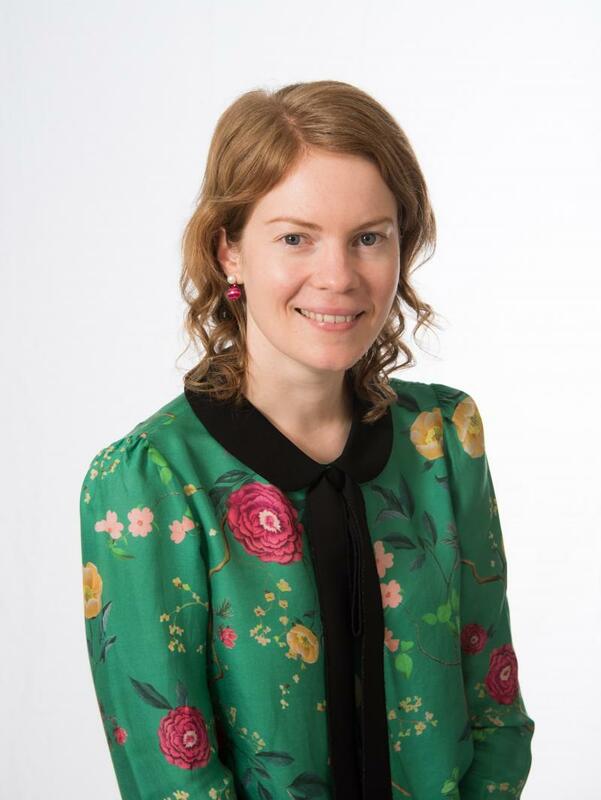 Kate Gifford is a clinical optometrist, peer educator and clinical researcher in Brisbane, Australia, with special interests in contact lenses, binocular vision and myopia control. Graduating from Queensland University of Technology (QUT) in 2003 with First Class Honours and a University Medal, Kate is undertaking a part-time PhD by clinical research. She is a fellow of the BCLA, IACLE, CCLSA (Australia) and AAO and is the Immediate Past President of Optometry Australia. Kate is an award-winning clinical supervisor and visiting lecturer at QUT, holds 37 peer reviewed and professional publications, and has presented over 70 lectures at conferences in Australia and internationally. Kate and her optometrist husband Dr Paul Gifford have developed www.myopiaprofile.com and www.mykidsvision.org to assist practitioner management and to raise public awareness about childhood myopia. Kate's lectures can be downloaded from www.kategifford.com.au.